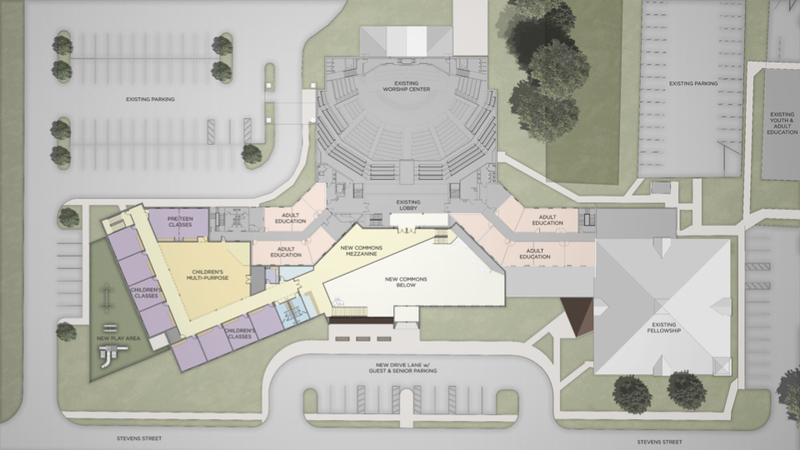 On this page, you’ll find information about our proposed plan for a new kids space and foyer as we press on in obedience to Jesus and His mission for us. Take a moment to read through the vision behind this plan, take a look at some design concepts, and ask any questions that you may have. Also, please make special note of the key upcoming dates. What is Arise & Tell? Arise & Tell is the vision behind these changes. 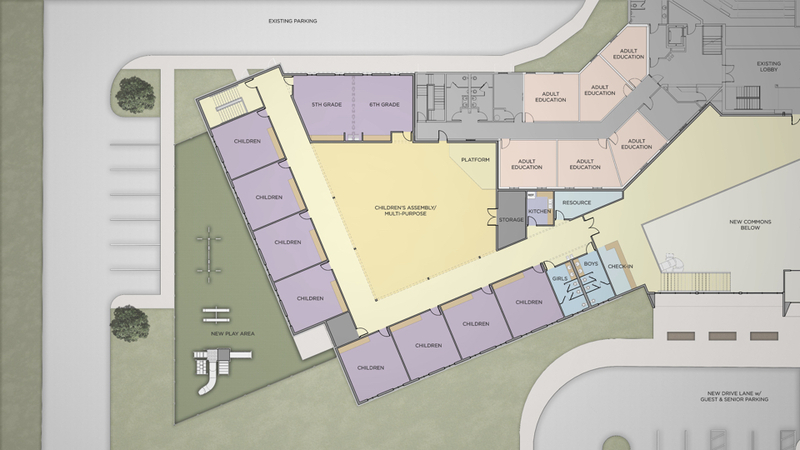 Yes, we need more space for our preschool and kids ministries, but this is much more than a building project. We must be ready to reach this generation, so that they can reach the next generation; not just for the future of our church, but for the expansion of His Kingdom. Currently, our preschool and kids ministries areas are at or above capacity. They need more room to continue to minister to the kids and families at Stevens Street and space to grow to reach the 40,000 lost and unchurched in Cookeville. Also, there are needed changes to maintain a high level of security. 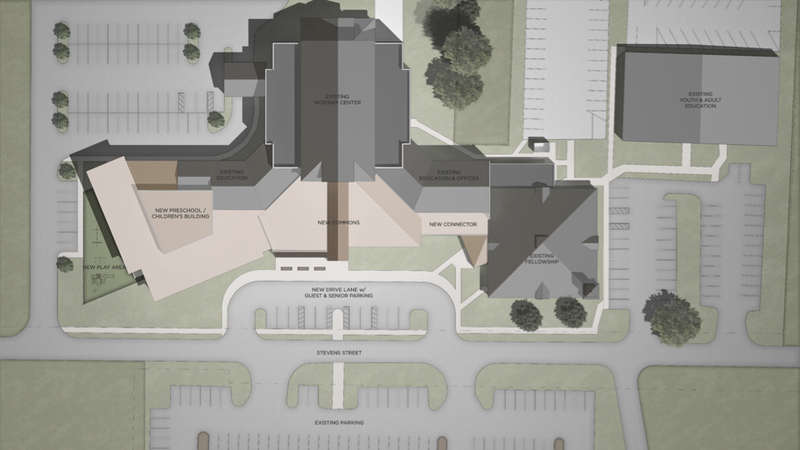 The current foyer is too small for the traffic flow before and after services. We also need an inviting space for guests new to Stevens Street. Our Adult Life Groups are in need of space to start new groups. With building new space for preschoolers and kids, their existing space can be released for usage for Adult Life Groups. COSCO is a church design/build firm that is based out of Florida, but they have projects all across the country. Their team is made up of Bible-believing followers of Christ who are actively involved in their local churches. They oversee the entire building process - planning, design, construction, and finishing. To learn more about COSCO & Associates, please visit their website at: www.churchdesign.com. What is being accomplished through this new building? How much will this cost and do we plan to borrow money? COSCO will give us a final price after all design and bidding is completed. We expect the total cost to be between $7.5 - 8 million. Included in the total cost are all architectural plans, site-work, and construction oversight. The finished building will be a fully furnished, move-in ready solution. We expect to incur a manageable debt that would not burden any current ministries of the church. A capital campaign would begin in March 2019 to raise funds through 3-year commitments. When would this project be completed? Construction is estimated to begin fall 2019 with completion set for late fall 2020.
Who is on the Building Team? Our building team is comprised of members in their 30s to 60+, who have been involved at Stevens Street from 9-30+ years. Their backgrounds include engineering, law enforcement, building & architecture, school administration, and stay-at-home moms.